Mission Specialist Mike here! 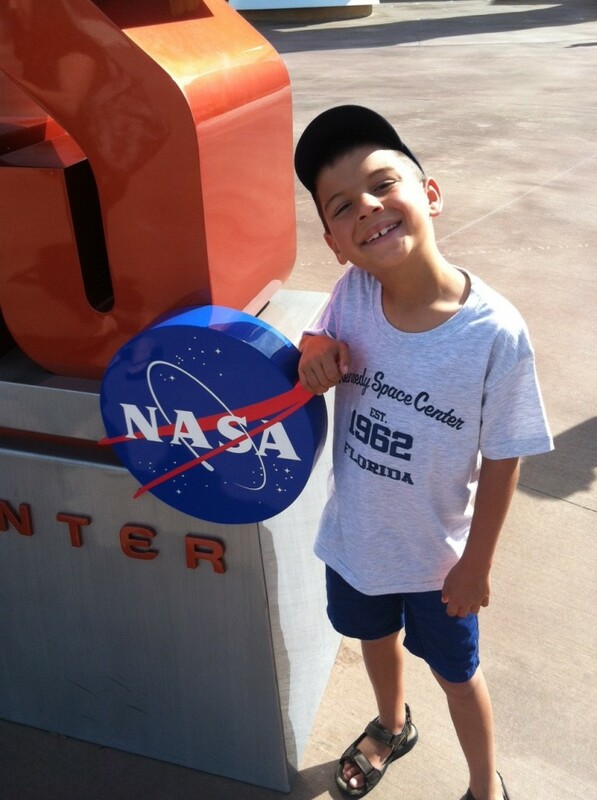 Yes, Orlando has lots of the stereotypical things to do when visiting Florida, but if you head east about 45 minutes, you will find one of the most unique experiences in the entire USA at the Kennedy Space Center. NASA is very busy with regular rocket launches to space and with the Orion project which will put humans into deep space by 203o. 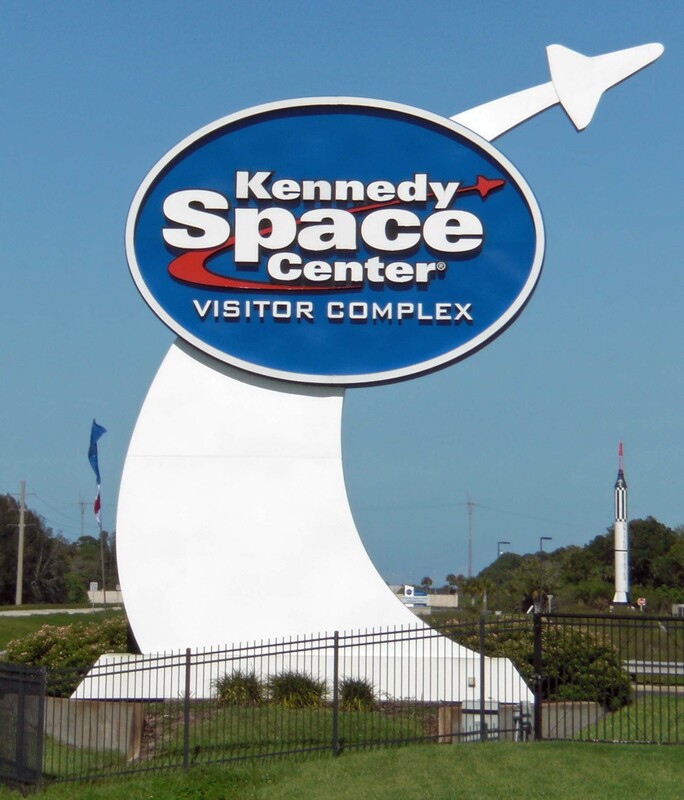 There is so much to see and do at the Kennedy Space Center and so much has changed since I first visited there in 1991. The Kennedy Space Center has also never looked better and has never before had so much to experience. The biggest display is that of the Space Shuttle Atlantis. Some other highlights include Lunch with an Astronaut, where you can meet and ask questions of a real astronaut. We had the opportunity to experience this with Jim Reilly. Reilly flew three Space Shuttle Missions, once on the Endeavor and twice on the Atlantis. He’s spent over 35 days in space. 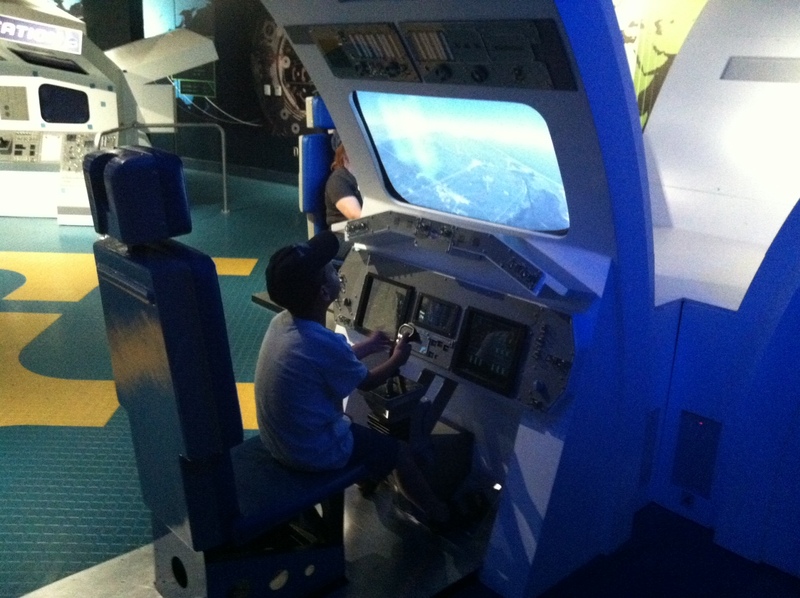 Here is Michael trying his hand at landing the Space Shuttle Atlantis in a simulator. 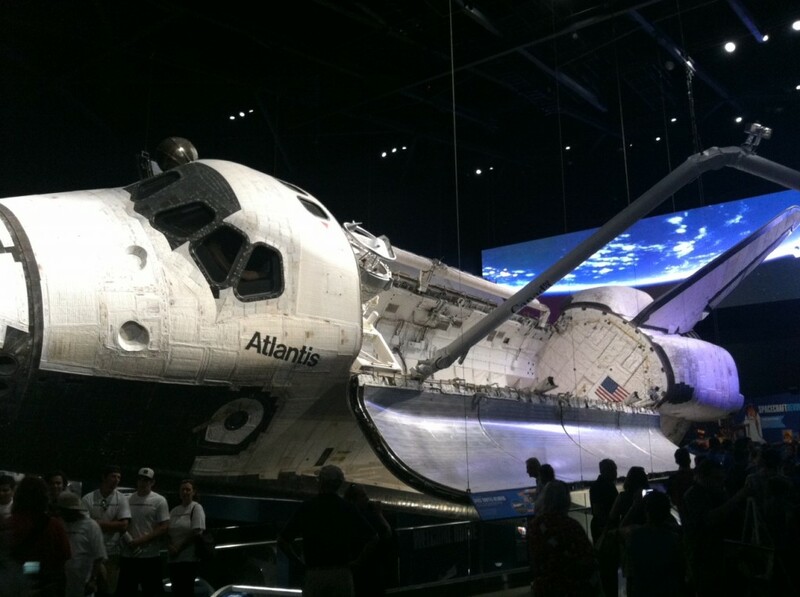 After 33 successful missions to space and back and a total of 307 days in orbit, Atlantis now has a permanent place to call home at the Kennedy Space Center. This spectacular $2 billion orbiter is the main attraction of a new six-story, 90,000 square-foot exhibit that celebrates the people and accomplishments of America’s incredible 30-year shuttle program. The Endeavor exhibit at the Los Angeles Museum of Science and Technology is neat, but that display pales in comparison to what they’ve done at the KSC. 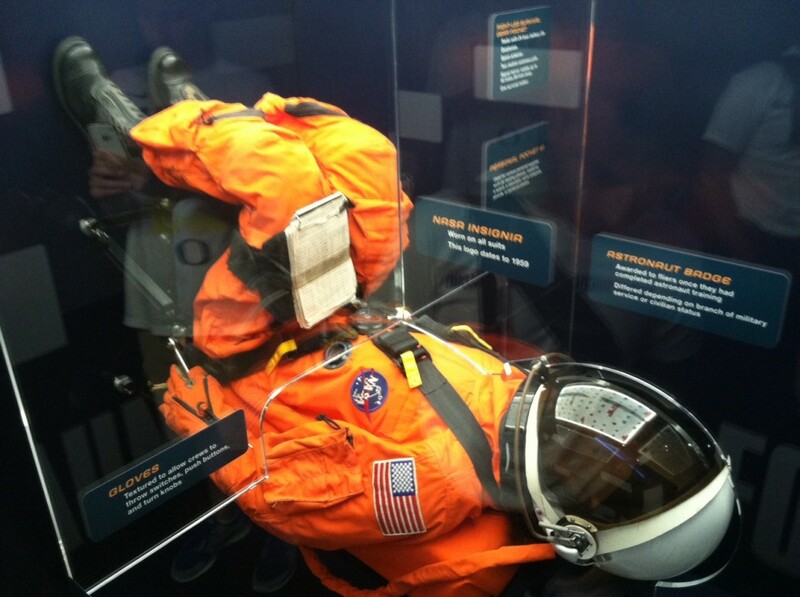 Kennedy Space Center has some amazing exhibits. These include a real Saturn rocket that was never used, a moon rover, space suits used by astronauts on shuttle missions and so much more. Many of the displays are interactive and there is SO much to see. 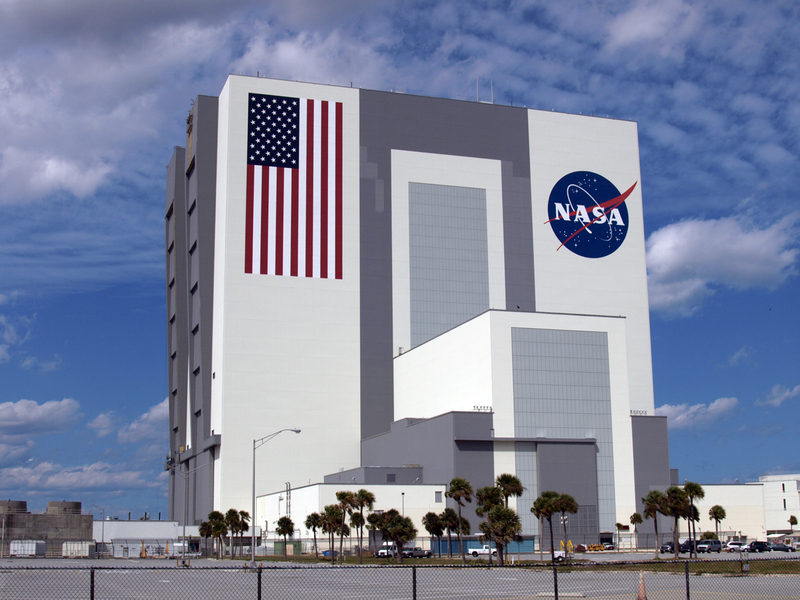 One of the most massive buildings you will ever see is the Vehicle Assembly Building. This was constructed to assemble the rockets and later to set up the Space Shuttle’s with the rocket boosters. It’s huge. I seem to remember actually being able to go inside the building when I was a kid. That was before 9-11 and the building is currently being used to assemble rockets, so we only were able to see it from the outside, still it very impressive. 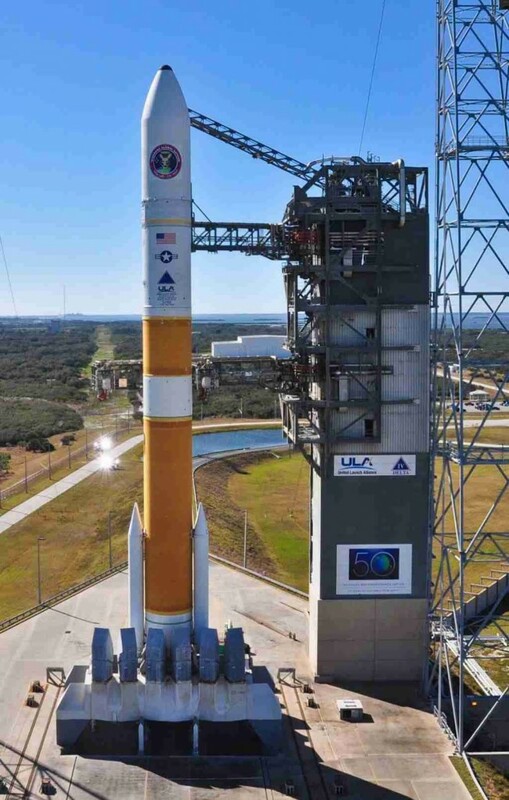 We were fortunate with our timing in Florida that a Delta IV rocket launch was post-poned a day. This allowed us to witness it’s launch up from Cape Canaveral and travel into outer space. It was sending up a GPS satellite, you know, the magic thing that allows your Google Maps app to work. We were able to see the rocket set up for it’s launch earlier that day while on our tour of Cape Canaveral. The fact is that while the Space Shuttle program ended two years ago, NASA is still very busy. Cape Canaveral is no just a historic site but a very active space exploration center. There are literally rockets going up several times a month. NASA is also very busy working on getting men to Mars. It’s going to happen. Soon. This entry was posted in Space and tagged rockets, space. We had the best “staycation” at Knott’s Berry Farm! 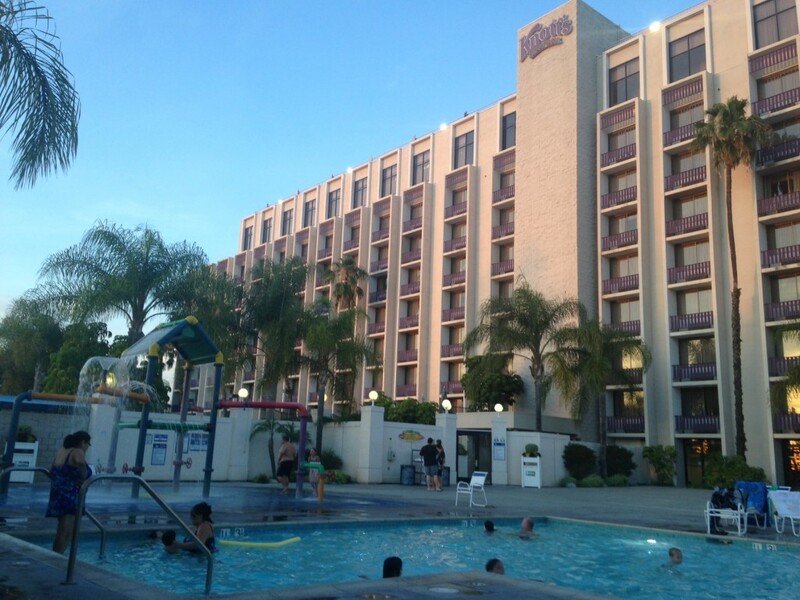 Last weekend I had the opportunity to have a little staycation at Knott’s Berry Farm Hotel with my daughter and some friends. We had such a great time and I can’t wait to do it again. It is the perfect place to stay when you’re looking for a great family getaway without leaving town. The rooms were so comfortable and spacious! 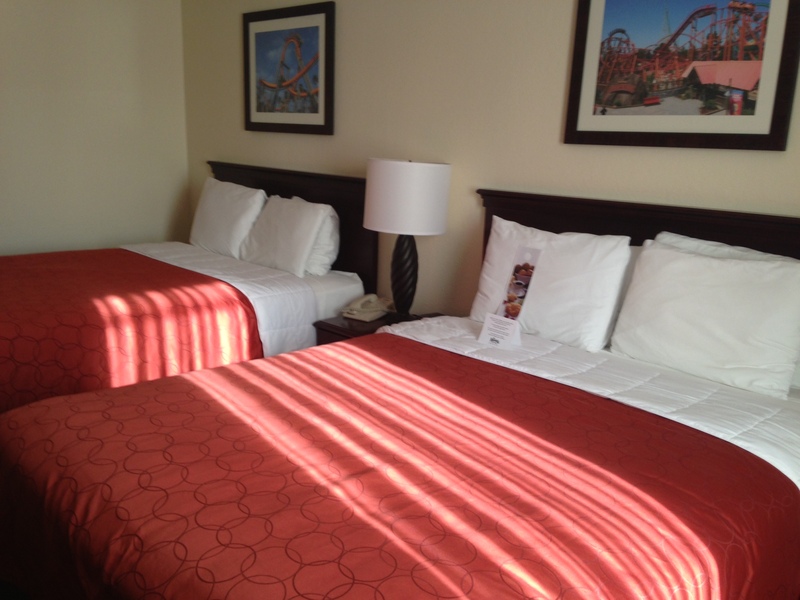 The Knott’s Berry Farm hotel is located a few steps away from Knott’s Berry Farm and Soak City. The rooms are roomy, comfortable and perfect for a family getaway. Now let’s get down to what is really important for a family… pool time. The first thing my kids ask about whenever we stay somewhere is without fail is, when can we go play in the pool. 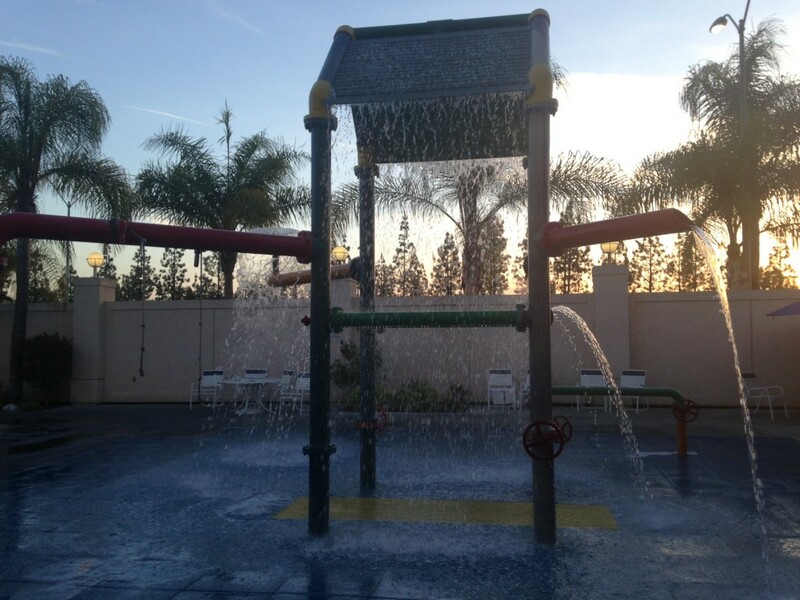 I can happily say that the Knott’s Berry Farm Hotel has a fantastic pool area with a water play area. Trust me your kiddos will love it. The hotel is also home to some great amenities including, a fitness center, a lighted sports court, a SNOOPY themed area, and some great dining options. It is a great place to stay. The Water Play area was a big hit with the kiddos! We had such a great time staying next door to Knott’s Berry Farm. It made heading over to the park the next day, easy as pie. While the amenities and our stay was fantastic, the absolute highlight of our stay, was a very special visit from Snoopy. When you book a stay at the Knott’s Berry Farm, make sure to reserve a room in one of the Camp Snoopy Rooms. If you do, your kiddos will be in store for a very special surprise. 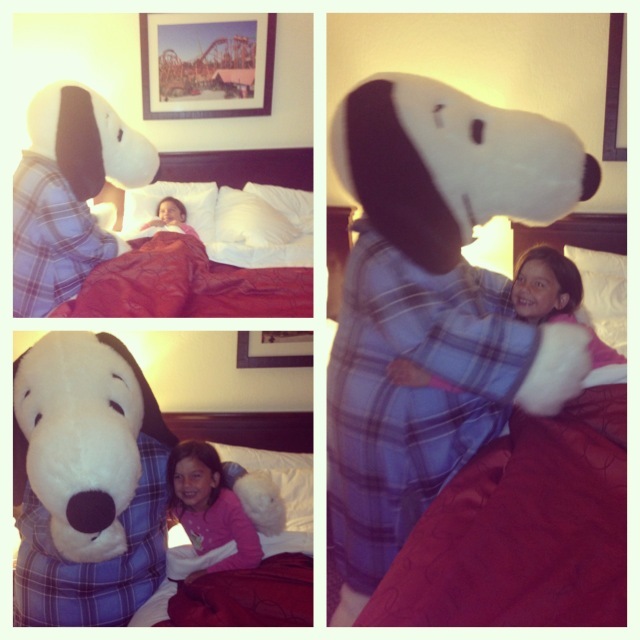 Every night, a Pajama clad Snoopy tucks in every guest in the Snoopy themed rooms . It is hands down the cutest thing ever!!! My daughter had the opportunity to be tucked in by Snoopy and I was able to capture some of her reaction. She was grinning from ear to ear. A week later she still can’t stop bragging about it to her brother. It was soooo sweet! One very special “tucking in” from Snoopy! We had an incredible experience at the Knott’s Berry Farm Hotel and I can’t wait to do it again! If you’re looking for a fun staycation with your family this is it! To learn more about the hotel head here. Luna Grill won over my kiddos! I’m always on the lookout for a good place to eat with the family. My kiddos are super picky(sound familiar?) and sometimes finding a place where they can find something that they will like and doesn’t involve nuggets or corn dogs, can be tricky. We had the opportunity to check out Luna Grill last month and I think we will be going back again and again. My lunch was out of this world delicious and healthy too! Luna Grill offers authentic, healthy, and fresh Mediterranean cuisine in almost a dozen location in Orange County/San Diego. We had the opportunity to check out the Carlsbad location. The food is delicious and plentiful. I had the Bistro Filet Kabob Entree and my hubby had the Gyro Plate Entree. 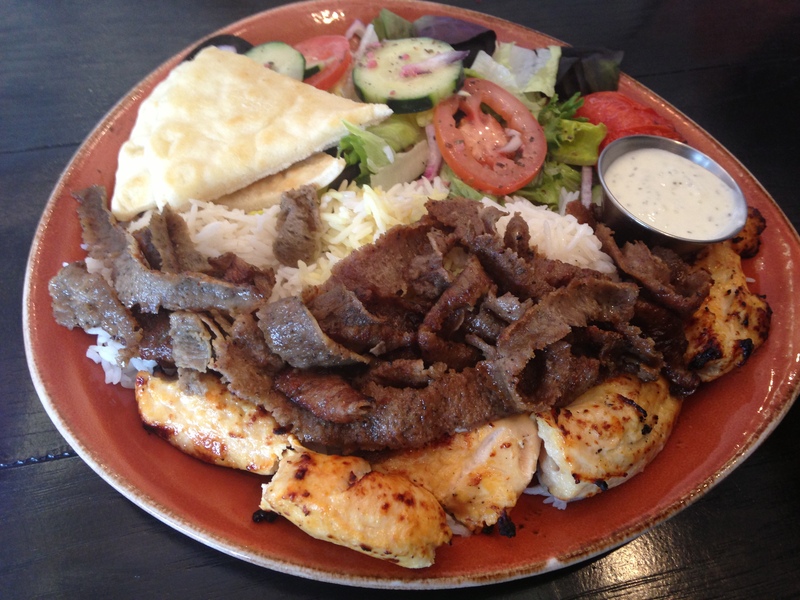 We loved both of them, but honestly if you like Mediterranean cuisine, I don’t think you can go wrong at Luna Grill. Everything is fresh and delicious. The kiddos who like I mentioned earlier are as picky as can be had the chicken kabob and the cheese quesadilla. Here’s the lowdown.. the kids ate most of it and really enjoyed it. The portions are very generous or else I think they would have joined the clean plate club. They definitely gave it two thumbs up. My daughter liked everything on her plate! 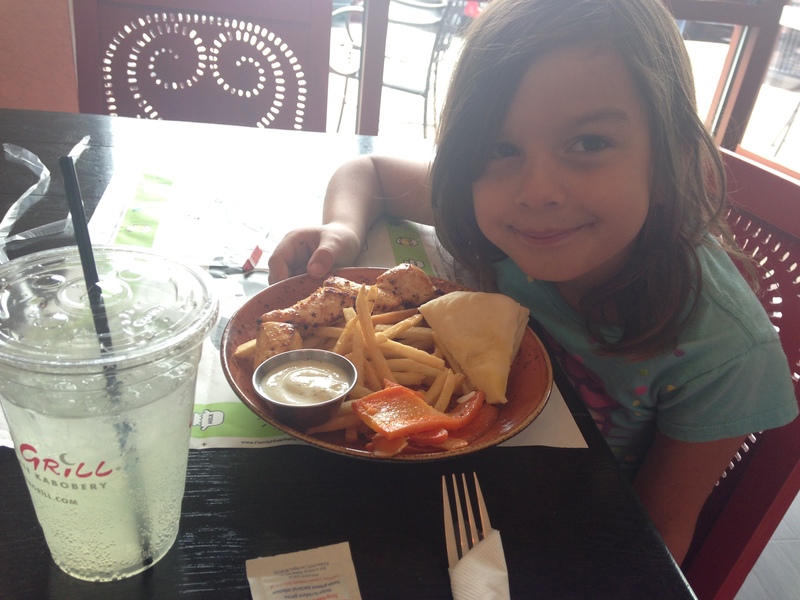 And speaking about kid’s meals, Kids eat Free! 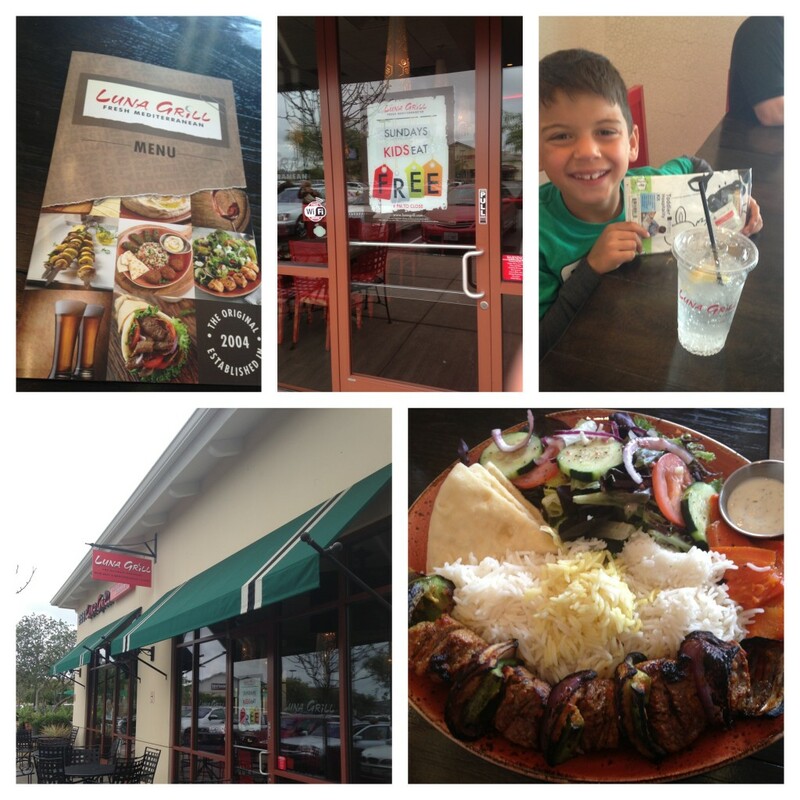 We visited the Carlsbad location and Kids Eat Free there on Tuesday afternoons. Make sure to call your local Luna Grill to find out what day they host their Kids Eat Free night. They also have a happy hour Monday through Saturday from 3pm-6pm and Sunday all day. They serve special priced beer and wine as well as special priced appetizers. For additional info, menu, or to find a Luna Grill near you, head here. Disclosure: This is not a compensated post. A complimentary lunch was provided for review purposes. However, all opinions are my very own. This entry was posted in Family Fun Eats.